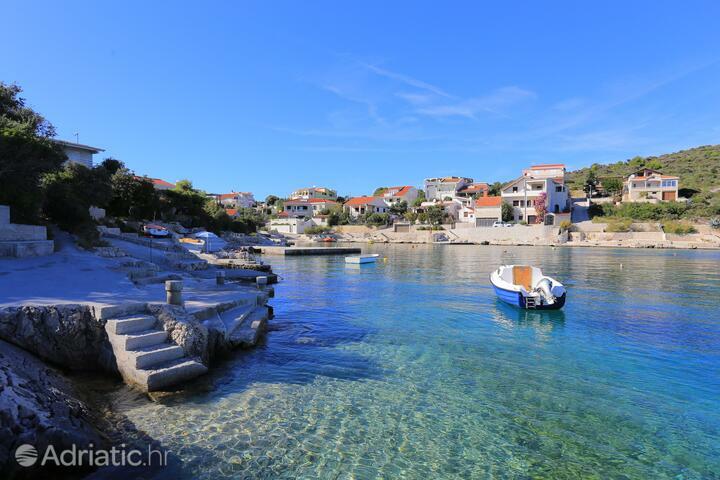 Escape from the bustle of the city and come to the picturesque Rogoznica riviera. This riviera is ideal for guests looking for a peaceful but eventful coastline vacation. From our offer of accommodation we recommend apartments with a seaview and apartments just 100 meters away from the sea. 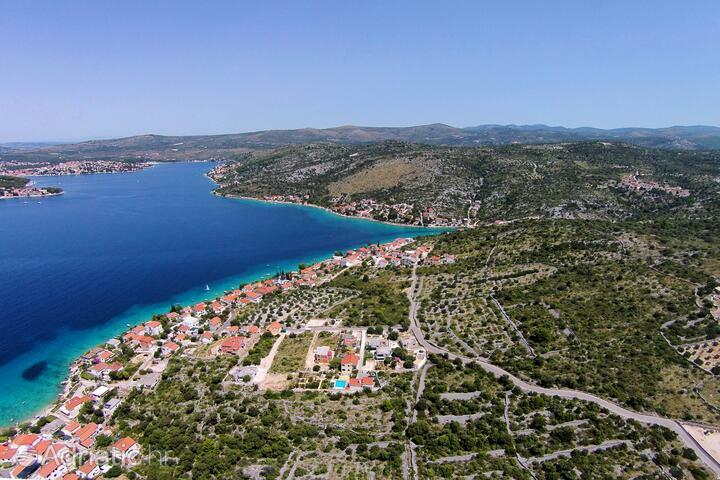 The environmental paradise that is the Rogoznica Riviera can be found in the very heart of Dalmatia. The virginal landscape has won numerous awards, and is overshadowed only by the vicinity of Krka and Kornati national parks. The tranquil towns of the Rogoznica Riviera - Zatoglav, Stupin Čeline, Ražanj and Kanica, present a reinvigorating recipe for escape from daily concerns. Some twenty miles to the south of the regal city of Šibenik, on a peninsula dividing the eponymous valley in two, a fairy queen lies dreeming. This is Rogoznica. The myth of an image of the Blessed Virgin, appearing miraculously on the rocks, has left a deep impression on life in Rogoznica. The votive chapel on the tip of Gradina cape is dedicated to her, as is the holiday which includes a grand procession, when the turquoise sea is decorated with ships and flowers. The seclusion of Rogoznica harbor was ideally suited for the construction of a marina, which now shelters many boats of all sizes. The Frapa Marina is the successive winner of the environmental Blue flag award for a number of years now. Its visitors have a chance to enjoy the biggest cakes on the Adriatic. Along the coast of the Rogoznica Riviera, there is a sequence of idyllic coves with inobtrusive beaches: Kanica, Lozica, Oštrička luka... their hinterland includes traditional households still very much alive in old stone houses, where one can sample the area's traditional specialties. The sacred architecture of the Rogoznica Riviera is revealed in a walk through vineyards and olive groves delimited with dry walls. As they do not include mortar or any such material, the only thing holding them together is the skill of old craftsmen. Beside the church of Saint Nicholas in Lozica there is a graveyard containing standing stones with lunal and astral symbols, while the old Church of Saint Ivan of Trogir arises from the very cliffs of Ploče cape. It was built in the year 1324. Rogoznica Riviera is much more than a chance to escape the urban bustle. The mesmerizing coves and islets are ideal for fishing, sailing, speedboating or water-skiing. Near the town of Ražanj there is a diving center in which you can rent all the equipment you need in order to explore the Rogoznica Riviera's submarine treasure trove. A particular diving attraction is the natural phenomenon known as the Eye of the Dragon, a saltwater lake around which numerous tales have been spun. Rogoznica will surprise you with its fencing school and its rich nightlife. The restaurants and cafés of the Rogoznica Riviera often feature live music, the Frapa Marina includes a nightclub, and the nearby town of Primošten is well-known for the parties held in Dalmatia's biggest club, Aurora. Rogoznica - What to do, what to see?